The Good Observation, Near Miss and Accident Reporting app – designed for multi-industry use in training, hazard recognition, risk analysis or process improvement – offers users an interactive avenue for documenting workplace safety incidents. Upon photographing a safe practice, near miss or incident, employers can mark the photo with a finger-drawing tool, then save the photo with additional details and send it to others in the organization. 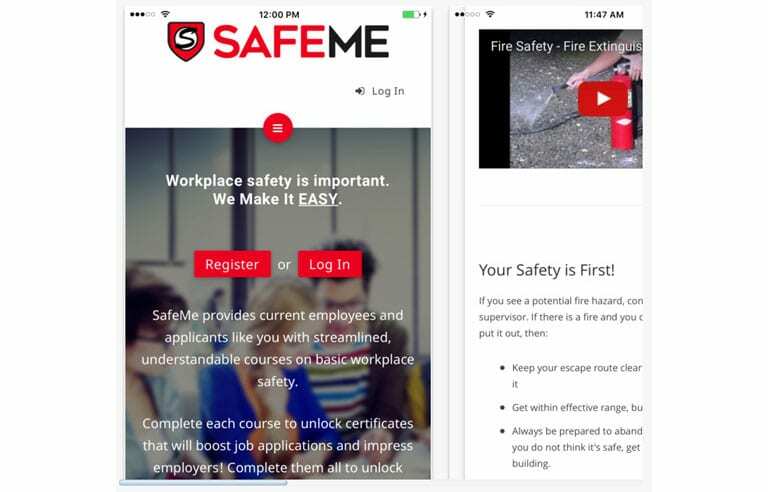 The SafeMe app – targeted for younger audiences – includes safety lessons, videos and hazard identification for retail occupations, restaurants and other industries in which teens and younger adults often are employed. Both applications are available for download on Apple and Android devices.